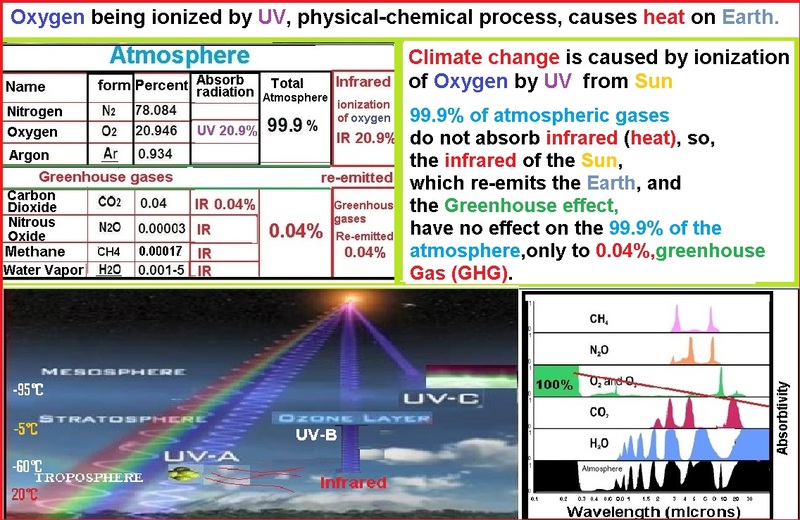 Climate change is caused by oxygen and UV. 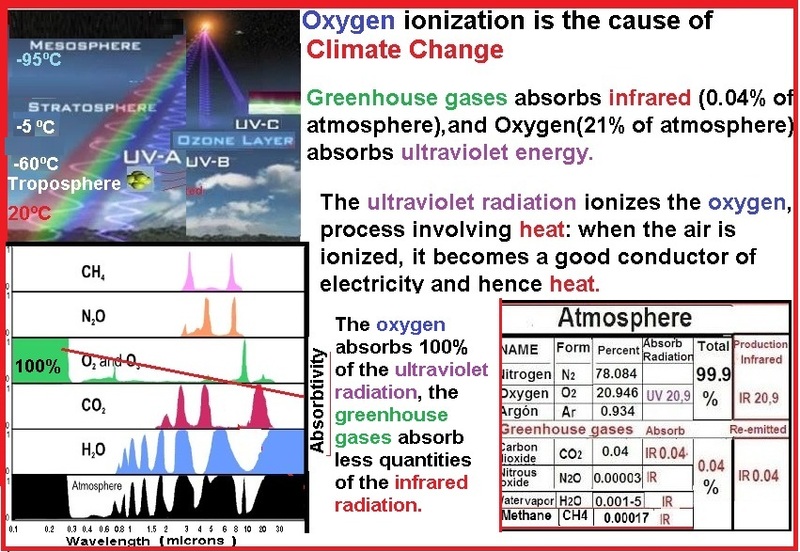 Climate change is caused by the ionization of oxygen by UV. in the troposphere where there is a greater amount of oxygen, the ionization is much greater. May you interested in my theory "why so much ozone is generated in the so polluted atmosphere"
"When the air is ionized,it becomes a good conductor of electricity and hence heat"
but I return to the fact that the heat in the earth, it is originated of the ionization of oxygen, because it equals 21% of the gases of the atmosphere, and not the absorption of infrared by greenhouse gases, because they are tantamount to 0.04%, and 99.9% of the gases do not absorb heat. your just ignore the heat produced by the process of formation of ozone. increases the temperature in 55°C., goin from -60°C. 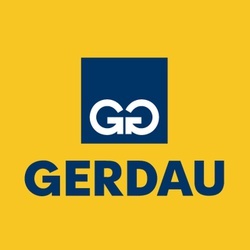 to -5°C. 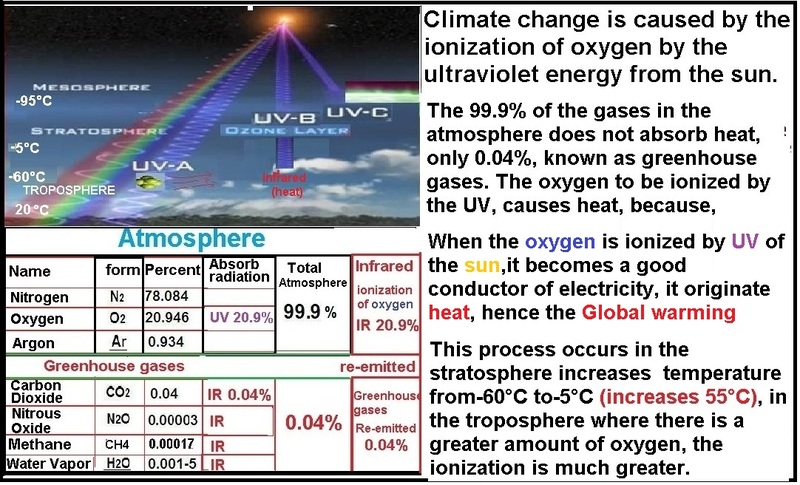 your ignore voluntarily, the fact of the heat caused by the ionization of oxygen by the ultraviolet in the troposphere, because it is a fact that in the troposphere there is oxygen and there is also ultraviolet radiation, therefore ionization and heat.